This entry was posted on November 28, 2018 by Allison Holland. 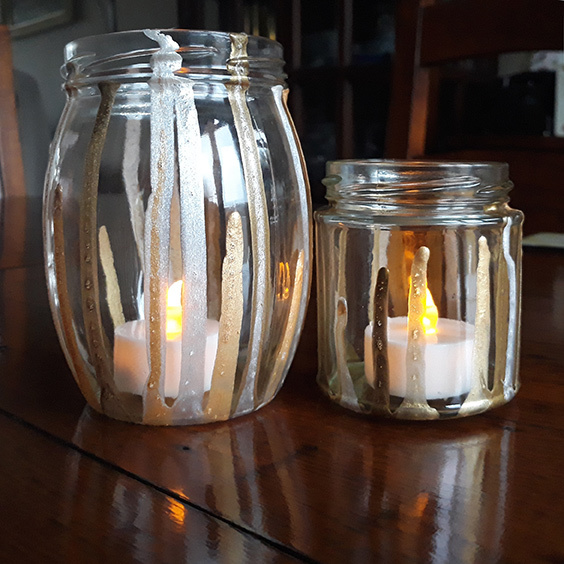 Reduce, reuse, recycle - here's a fun way to add bling to used glass jars for Christmas, parties or weddings. Simply make up a solution of the glistening Pearl Ex pigments and clear Deka Cristal glass paint and decorate away! Jacquard Pearl Ex Pigments can be combined with practically any viscous medium and are available in a choice of pearly or metallic colours. Brilliant Gold, Pearl White and Sunset Gold were used for this project. Deka Cristal Glass Paint is a water based, transparent glass paint and dries to a high gloss. 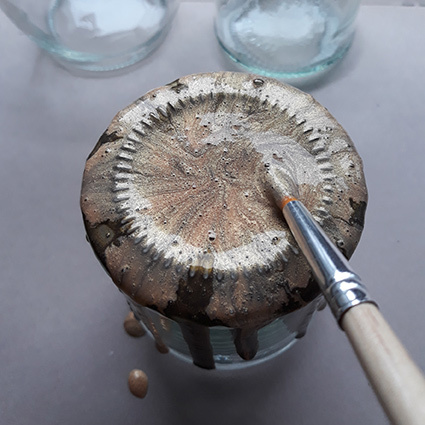 A teaspoon of clear Deka Cristal Glass Paint was stirred into half a teaspoon of Pearl Ex Pigment. Add more or less so that the consistency is not too runny. 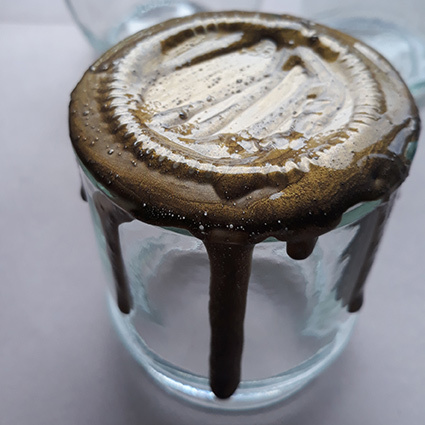 The solution needs to be thick enough to slide down the side of the jar quite slowly. Make sure the surface of the glass is clean and grease free and cover work surfaces. 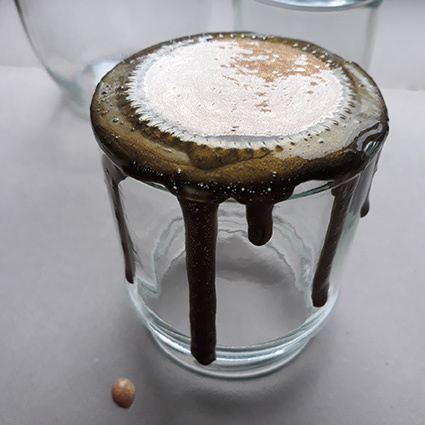 Turn the jar upside down and pour the glass paint solution into the dimple at the base of the jar. 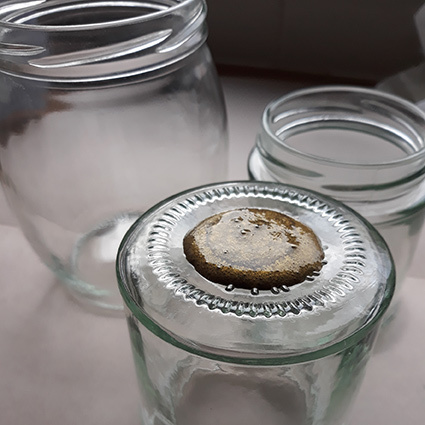 Using a brush, move the solution to the outside of the jar until it starts to drip down the sides. 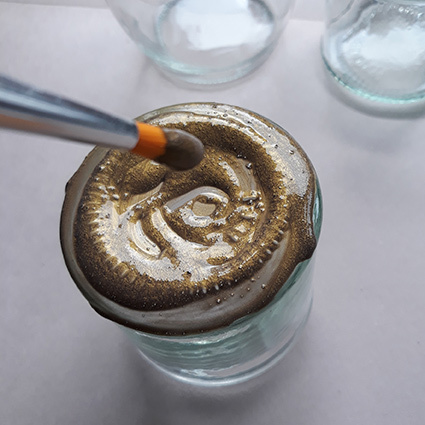 Make up a new solution with a different colour of Pearl Ex Pigment, pour this onto the base of the jar and repeat above. Allow the paint to dry for 3-4 hours. 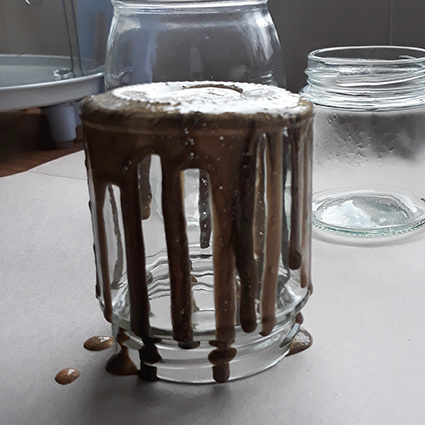 You may need to push the jar onto a clean work area to stop the solution from sticking while it dries. 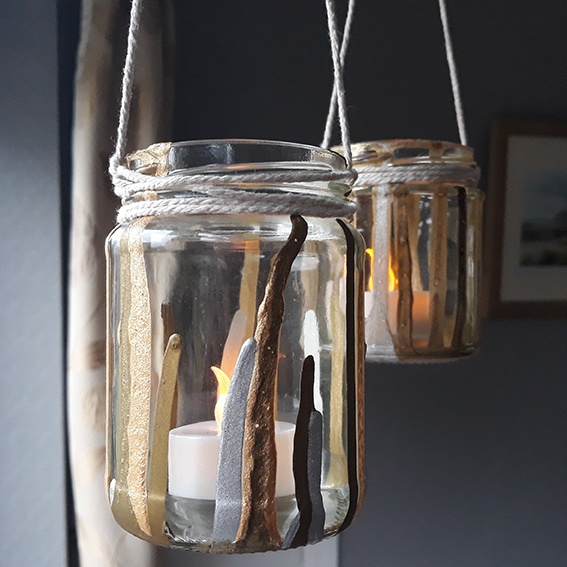 Use the finished jar as a vase or tealight holder to decorate your Christmas table, or tie string around the neck of the jar, add a battery operated candle and hang as a lantern.